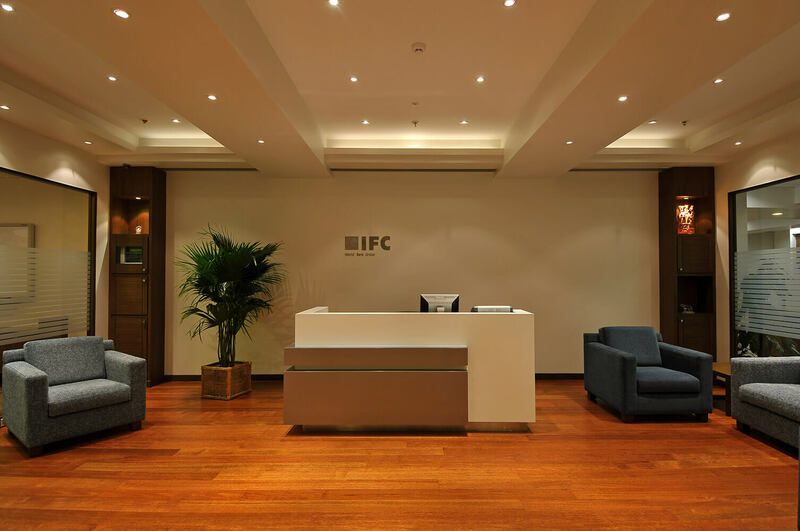 International Finance Corporation, a part of the World Bank, is designed with a broad perspective keeping in mind its responsibility to generate opportunities for economic growth. 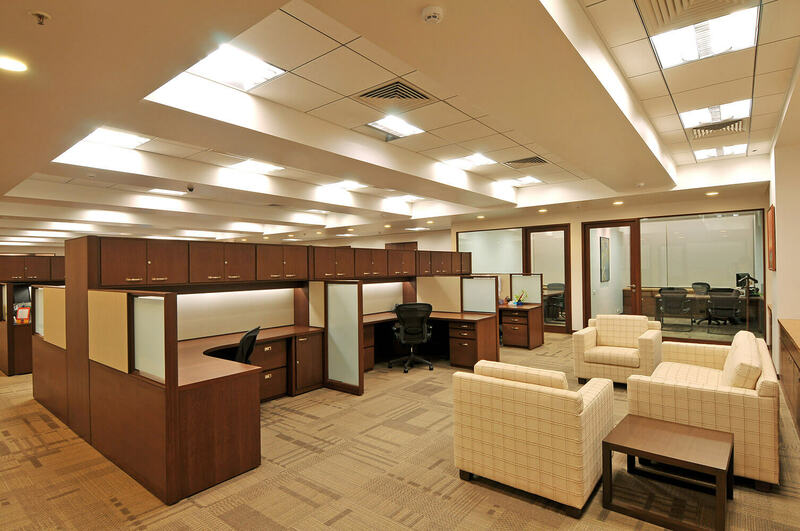 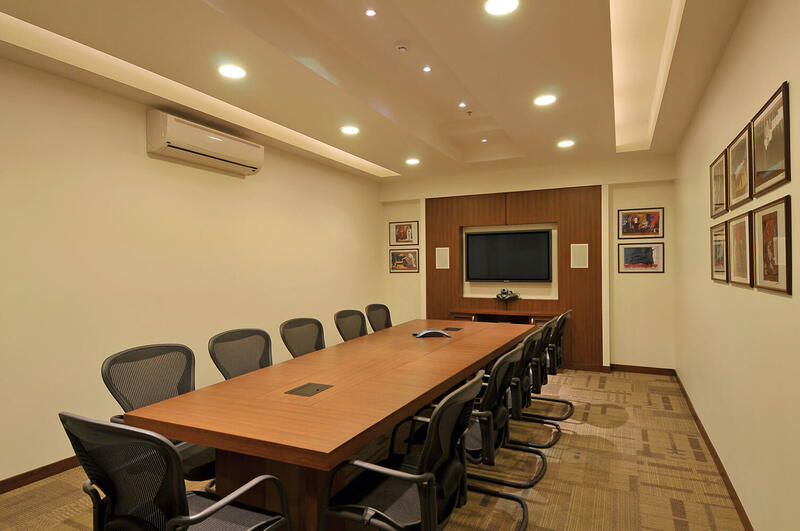 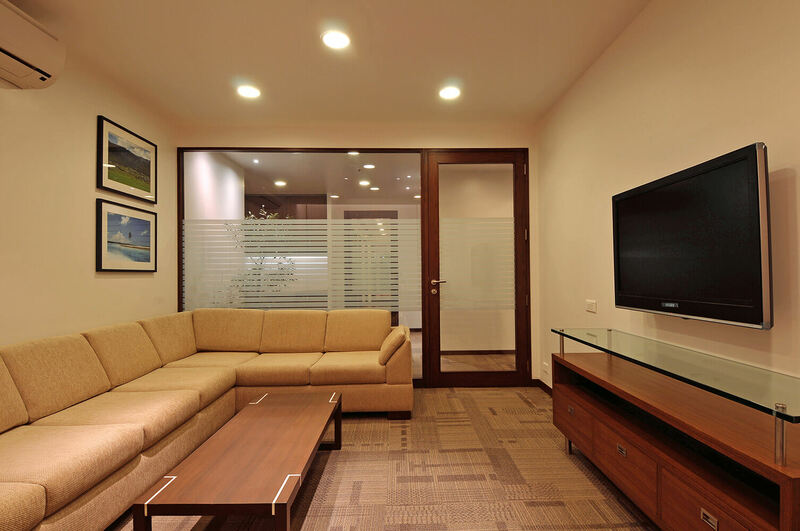 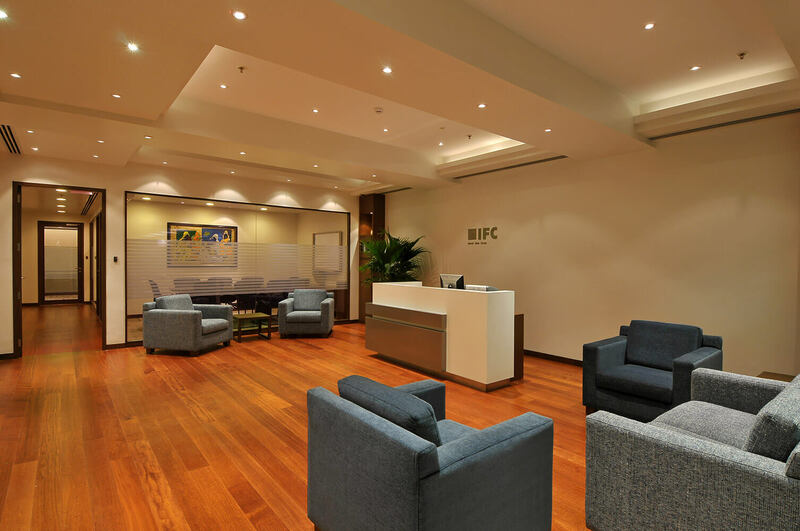 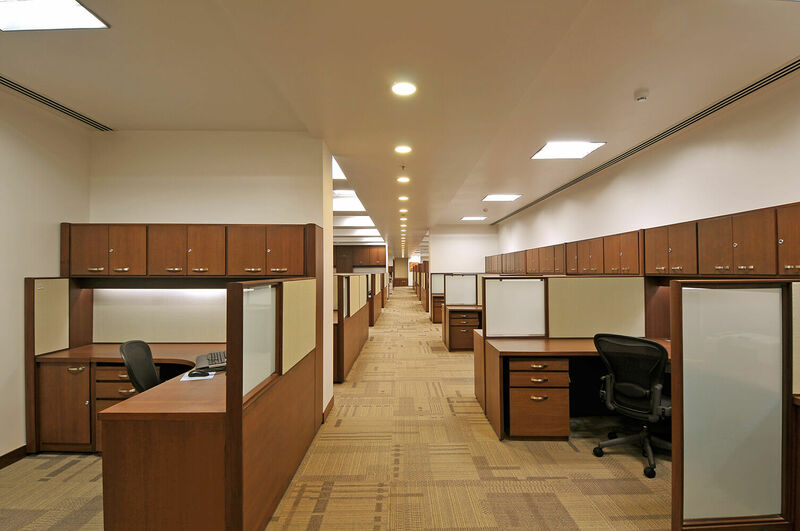 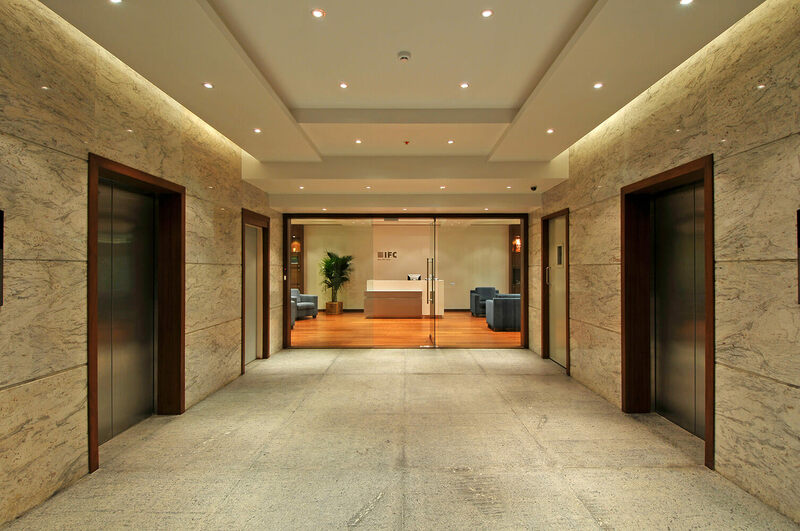 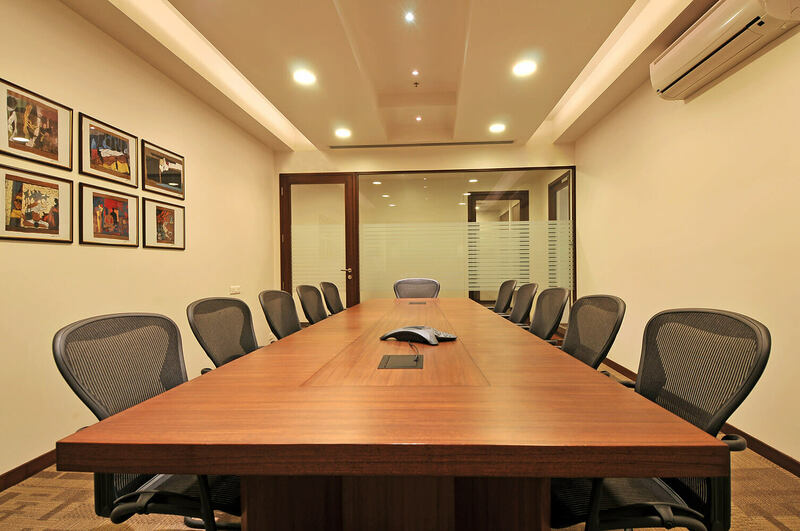 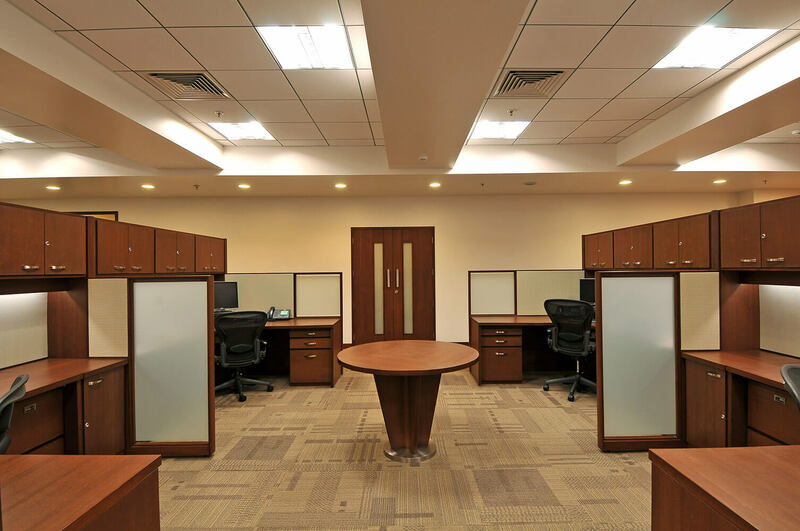 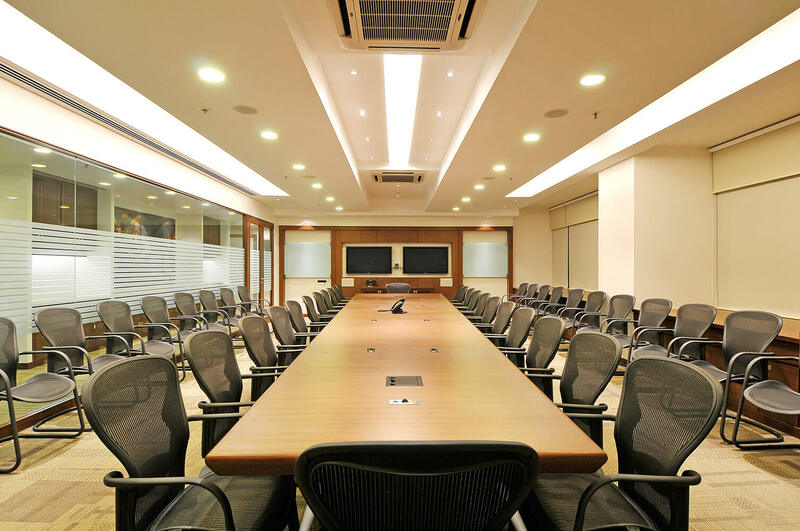 The Office spaces break ground with a rendezvous – an amiable reception and waiting lounge leading to effective and organised workstations with extended work spaces that only boost productivity. 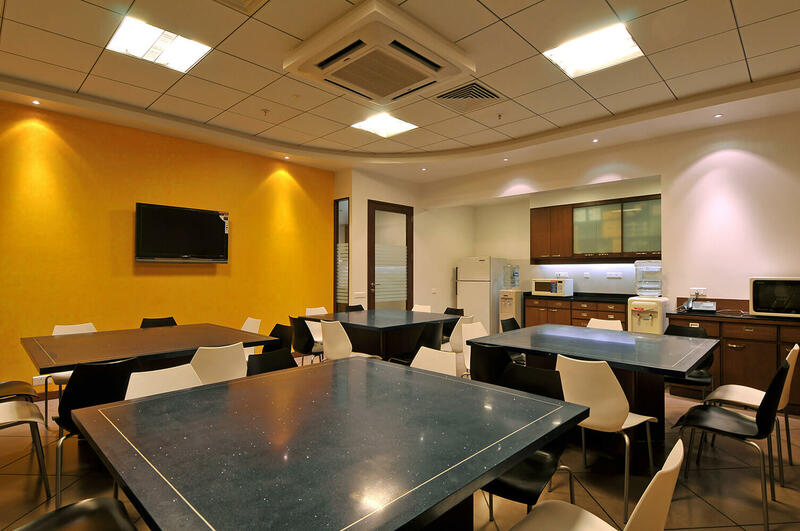 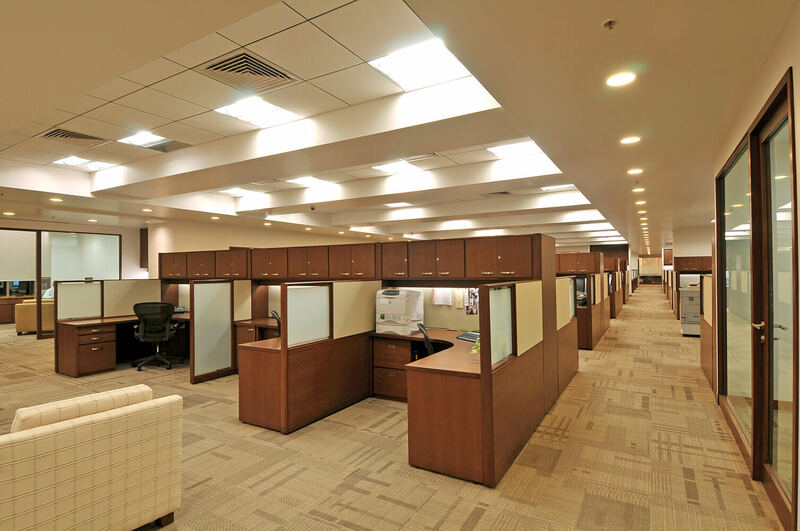 The workstation clusters are provided with a dedicated zone to get into a huddle, which becomes an interactive space within the open office environment. 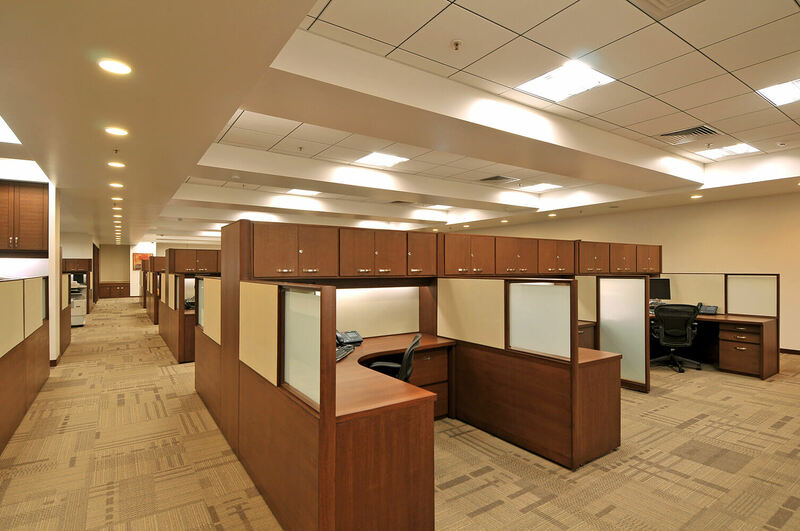 This efficiently flexible form not only creates interesting breakout zones within the work space but also gives enough room for ease of mobility to the employees. 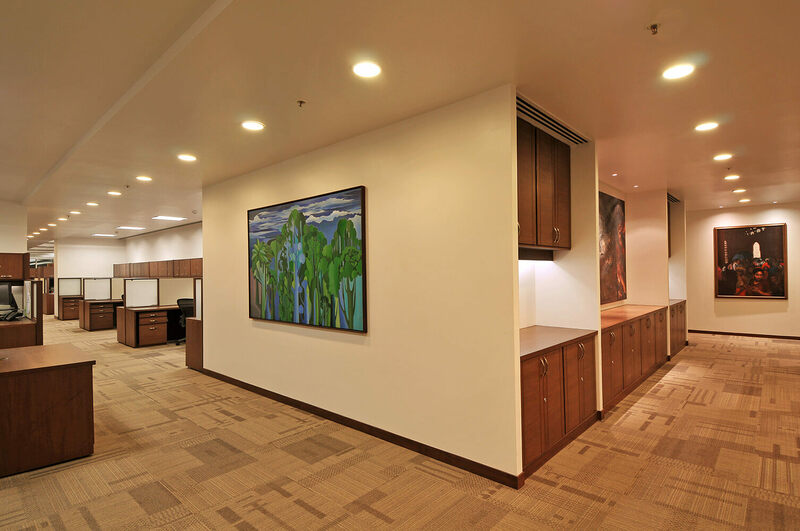 The artistic and formative use of wood and glass play a pivotal role in developing a minimalistic classic style that runs throughout the office. 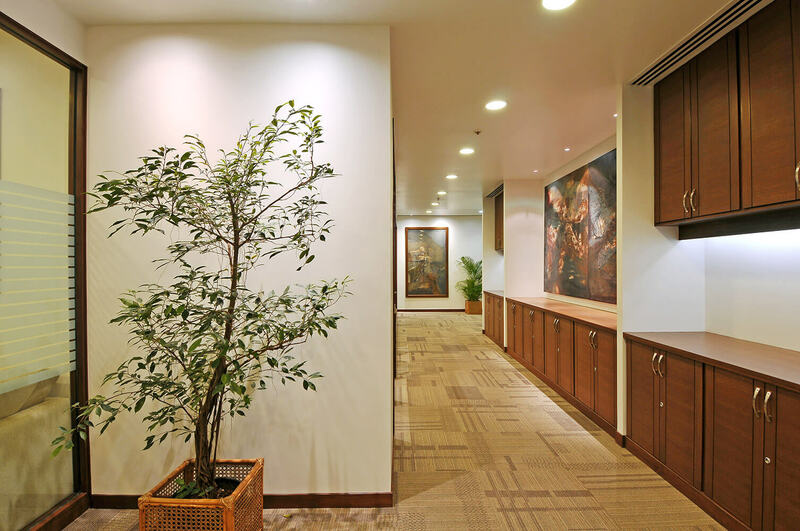 Wide corridors & lean designs, resulting in efficient space planning, altogether contribute to the contemporary design with an understated yet Vintage characteristic that is essentially Indian.